We have had a wonderful first few weeks in Blue Class, all of the children have settled in really well! This week we have been thinking about our sense of hearing. We went on a listening walk around the school, we heard lots of interesting sounds. We had great fun making our own shakers! 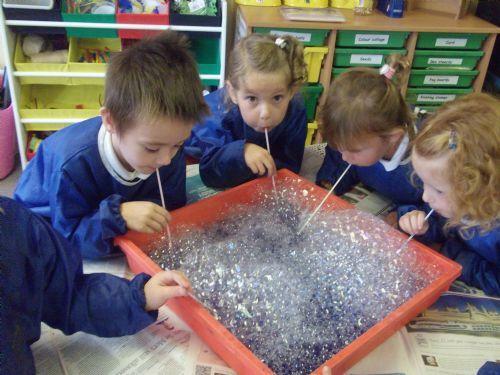 We also blew bubble paintings and thought about the sound the bubbles made.